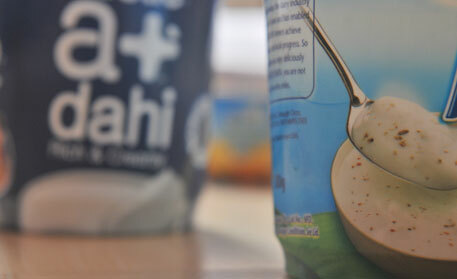 Products containing probiotics have created quite a buzz since they entered the Indian food industry in 2007. Even though the probiotic market in India is miniscule compared to the Western countries at the moment, it is set to soar. According to figures released by US-based research firm Frost and Sullivan in August this year, probiotic products in India generated revenue of US $310 million in 2011. The company expects this to soar to US $522.8 million by 2018. But all the top players in this industry use the bacteria of foreign origin. This is despite the presence of a number of indigenous strains that Indian researchers have been working on for several years. Scientists at the National Dairy Research Institute (NDRI), in Karnal, are among the pioneers of research on the Indian probiotic bacteria. Emeritus scientist Virender K Batish and his colleague, principal scientist Sunita Grover, have been working in this field for a decade and have a repository of 120 types of bacteria. They plan to market two types of bacteria in near future—Lactobacillus plantarum-91 (Lp-91) and Lactobacillus fermentum-1 (Lf-1). “The two strains are quite promising. Lp-91 has been shown to lower the cholesterol in animals by 21 per cent. We are ready to conduct studies on humans now,” Grover says. Lf-1 has been found to be effective against colitis in mice, she adds. The scientists plan to screen all bacterial samples to see which ones can make a person feel full—a property that can help deal with India’s burgeoning obesity epidemic. Scientists are optimistic. “Gut flora of a specific community is well adapted to the environment of their intestine. Foreign probiotic bacteria face tough competition from these microbes as they have originated from the gut of a population having different food habits,” says Batish. Indigenous bacteria, however, can become part of the Indian gut very easily since they have been isolated from a similar gut environment and are well adapted to survive therein, he says. Not all scientists and industry experts agree with Batish. Neerja Hajela, head of the science department at Yakult Danone India Private Limited, which has a probiotic drink in the market, says there is no proof of this argument. She says that probiotics only transiently colonise the gut and are supposed to get washed out anyway. “That’s why probiotic foods have to be taken daily,” she says. The beneficial effects of probiotics in gastro-intestinal disorders like irritable bowel syndrome, constipation and colitis have been well documented. A study published in the May 2012 edition of the Journal of the American Medical Association notes that those given probiotics while on antibiotics have a 42 per cent lower chance of developing diarrhoea as compared to those not taking probiotics. A study in China showed that if patients being treated for traumatic brain injuries in the intensive care unit are given probiotics along with food, they have a lower chance of contracting infections and recover faster than those who do not receive probiotics. Radiation therapy given during cancer treatment often injures the intestines. Scientists at the Washington School of Medicine found that probiotic microbes of the Lactobacillus genus can protect the lining of small intestine in mice receiving radiation. The research was published in November last year in the online edition of Gut. J S Virdi, head of microbiology department of Delhi University, says while Indian bacteria might be better in certain respects, foreign ones cannot be rejected as completely useless. “Local factors, like the environment in which a person lives, influence the gut environment. So Indian strains may have an advantage in that respect,” he says. Virdi, however, adds that there is no evidence to support this and such assumptions are based on microbiologists’ knowledge and experience. NDRI is not the only institution working on Indian probiotic microbes. Scientists at Anand Agricultural University in Gujarat and Christian Medical College (CMC) in Vellore, Tamil Nadu, have also been conducting tests on these bacteria. Prajapati may realise dream to hit the market soon—sooner than his counterparts in NDRI. One of his bacteria is to be licensed to a company and products may be rolled out in about a year. At CMC, B S Ramakrishna, who heads the Department of Gastroenterology, has been studying various bacteria of Lactobacillus genus, isolated from dairy animals in India. However, his work, by his own admission, is in its nascent stage. He says it will take five to 10 years for his microbes to be ready for the market. While Indian scientists are confident about the efficacy of indigenous probiotic bacteria, it remains to be seen if they can beat their foreign competitors. The first hurdle is commercialisation. After Batish and Grover of NDRI finish their biosafety studies on animals, the big task ahead would be to get a third party lab to conduct a similar study to verify their claims. This is essential to get accreditation. Some labs they have approached quoted high price. “Labs ask for Rs 1-2 lakh for a single test,” says Grover. 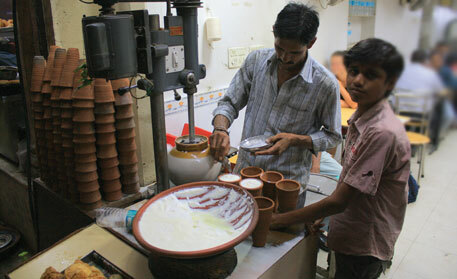 The team plans to tie up with a commercial entity like Mother Dairy that will sponsor their lab accreditation tests. After this, trials on humans would have to be conducted to determine the safety and efficacy of the probiotic bacteria. NDRI, being a dairy research institute, does not have the infrastructure needed to conduct such trials. Grover says it is difficult to find hospitals that are willing to tie up for such trials with the institute. Prajapati faces similar issues. “We need support from medical faculty and more budget too,” he says. To add to the scientists’ woes, clinical trials outsourced to clinical research organisations are not well respected in the industry. At present, the top players in the Indian market—Amul, Nestle, Mother Dairy and Yakult—use probiotic bacteria imported from other countries. What chances of survival do the Indian bacteria have then, when they enter the market? The industry seems ready to help. R S Sodhi, managing director of Amul, in Anand, Gujarat, says if probiotic bacteria of Indian origin become available in the market, the dairy cooperative would be willing to incorporate them into its products. He says Amul is willing to fund the biosafety trials of Indian probiotic bacteria if scientists approach them. If scientists step up their efforts to promote indigenous bacteria they can capitalise on the boom. Great article! I am hopeful this has progressed a good deal since the publishing of this article.